Authors: Procenko E.V., Peretiatko L.P., Fateeva N.V., Saryeva O.P. Aim. The aim of the study was to reveal structural peculiarities of the ventricular germinal zone and of the neocortex in newborns of 22-40 weeks gestation with congenital hydrocephalus associated with anomalies in development of the cerebral aqueduct. Materials and Methods. The main group was the brain of newborns aged 22-40 weeks of gestation with hydrocephalus, formed with the underlying developmental anomalies of the cerebral aqueduct (n=10); comparison group (n=30) was the brain of newborns without visible pathology of the CNS with the width of the lumen of lateral ventricles not exceeding 0.5 cm. A complex pathomorphological study of the ventricular germinal zone and the neocortex in the projection of field No. 6 (cortical representation of the motor analyzer) was carried out. Results. Hydrocephalus associated with anomalies of development of the cerebral aqueduct is characterized by disorders in formation of sulci and gyri (micropolygyria, asymmetry and breakage of the gyrification sequence), by absence of signs of remodeling of the ventricular germinal zone and by retardation of differentiation of III-VI cytoarchitectonic layers of the neocortex, with the underlying increased expression of S-100 glial protein in glioblasts of white matter, decreased expression of vimentin in vessels of periventricular region, negative expression of metalloproteinases-9 in glioblasts, of reelin in Cajal-Retzius neurons, of desmin in periventricular vessels. Conclusion. Structural peculiarities of the ventricular germinal zone and the neocortex in newborns of 22-40 weeks of gestation with hydrocephalus, associated with anomalies in development of the cerebral aqueduct, should be considered as morphological diagnostic criteria for differentiation of the given pathology with internal hydrocephalus of a different etiology. ventricular germinal zone, neocortex, hydrocephalus, anomalies in development of the cerebral aqueduct, newborns. According to literature data, 43% of the internal hydrocephalus (HC) in newborns result from anomalies in the development of cerebral aqueduct (CA) etiologically related with recessive gene in X-chromo-some[1,2]. The favorable outcome, according to some authors [3,4] depends on early diagnosis and timely treatment taking into the account structural damages of the brain. It is well-known that alterations of the brain parenchyma resulting from accumulation of liquor in the ventricular system in case of congenital HC, are manifested by atrophy of cerebral hemispheres, degenerative alterations of axons to the extent of their disappearance and demyelination of the cerebral conducting pathways . However, up to the moment there is no idea of the structural basis of the pathological process in the brain matter in inherited hydrocephalus resulting from chromosomal pathology. 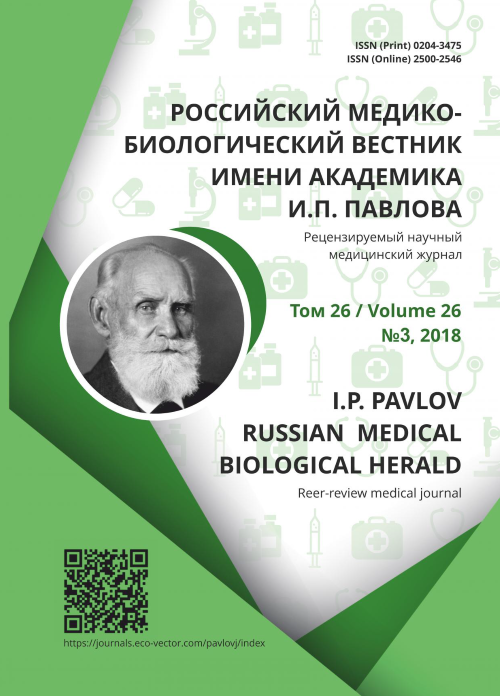 In connection with the above, the aim of this study was to study morphological peculiarities of the ventricular germinal zone and neocortex of newborns of 22-40 weeks of gestation in hydrocephalus coupled with anomalies of development of CA. A complex morphological study of the brain of 40 still-born and live-born children who died after birth, of gestation age 22-40 weeks, was conducted. The study included survey histology and histostereometry of the ventricular germinal zone (VGZ) and neocortex, transmission electron microscopy and immunohistochemical (IHC) identification of S-100 glial protein, of matrix metalloproteinase-9 (MMP-9), of reelin, vimentin and desmin in the brain structures. The main group was brain of 10 newborns with hydrocephalus due to abnormal development of CA, who died after birth. Hydrocephalus was diagnosed in screening ultrasound examination of fetus and was confirmed in autopsy on the basis of combination of dilatation of the lateral and III ventricles to more than 1.0 cm with abnormal development of CA. The latter was identified by filling of the ventricular system of the brain with the injectionmixture of ink and gelatin . A comparison group (30) consisted of samples of the brain of newborns who died from asphyxia, with no pathology of the central nervous system CNS and with the width of the lumen of lateral ventricles (LV) not more than 0.5 cm. where (i) is index of staining intensity obtained by summation of points, P(i) – percentage of positive cells and structures stained with different extent of intensity. To identify the dynamics of gestational structural transformations of the brain, the examined materials of both groups was divided into subgroups (22-27, 28-32, 33-37, 38-40 weeks) which on the basis of the mass and length of the body at birth, conventionally corresponded to newborns with extremal low body mass (ELBM), very low body mass (VLBM), low body mass (LBM) and normal body mass. Statistical programming of the obtained data was carried out using Statistica software package with non-parametric Mann-Whitney test with evaluation of interquartile intervals. Reliable were considered differences at р<0.05. Correlation dependence between variables was determined using correlation analysis by Spearman method with evaluation of degrees of correlation strength . According to the results of the conducted study, hydrocephalus coupled with anomalies of development of CA, in 7 out of 10 cases resulted from splitting of the cerebral aqueduct, in 2 out of 10 cases – from stenosis of its distal part, and in 1 out to 10 case – by agenesia of CA with the underlying genetically confirmed Patau syndrome with karyotype 46 XY, add (16) (g24). In all observations (n=10), abnormal development of CA was combined with other congenital malformations of the CNS, such as complete rachischisis, hypoplasia of corpus callosum, cephalocele, holoprosen-cephaly, arrhinencephaly and premaxillary agenesia in different combinations which permitted to interpret the identified pathology of the brain as hereditary . Abnormalities of the structure of CA were accompanied by disorders in the outflow of the cerebrospinal fluid with its accumulation in the proximal part of ventricular system which caused uniform dilatation of the lateral and III ventricles to more than 1 cm, and thinning of the brain matter from 0.5 to 0.2 cm. On the basis of the results of light microscopy, VGZ or germinal matrix, of still-born children and of live-born ones who died after birth from HC associated with anomalies of CA in dependent of the gestation age, had a monomorphic cellular structure, and in contrast to physiological norm , had no signs of successive reduction with practically complete disappearance by the 38th week of gestation. In the period from 22ndto 40thweek, VGZ is determined as subependymally located strip of cells of non-uniform thickness consisting of glio- and neuroblasts with hyper- and euchromic nuclei. The cavities of the lateral ventricles were lined with single-layer and in some places with multilayer, ependyma. On the epical edge of ependymocytes, microvilli were determined in the condition of hydropic dystrophy, a part of altered villi was desquamated (Fig. A). Results of histometry of VGZ confirmed that practically no remodeling of the periventricular area took place in HC coupled with anomalies of CA, since no reliable differences were found between the widths of germinal matrix in different periods of gestation. One of probable causes of disorders in gestational transformations of the periventricular area in hereditary HC isa negative expression of matrix metalloproteinase-9 in glioblasts of VGZ. In physiologically normal conditions MMP-9 possesses high invasion activity, due to which it promotes migration of cells and thus participates in remodeling of tissues  including those of the brain . An indispensable morphological peculiarity of hydrocephalus is edema of the brain matter that frustrates liquor mechanism of trophism and promotes damage to microglia in the form of swelling, necrobiosis and necrosis with subsequent formation of zones of cell depletion and substitution gliosis. The above changes occur not only in the VGZ and intermediary zone, but also in the neocortex (Fig. B). This is evidenced by the dynamics of expression of S-100 glial protein (a marker of differentiating glia) in the zones of damage of the brain parenchyma (Fig. C) characterized by increase in the EI of S-100 proportional to gestation age of newborns, and by the reliable differences (p=0.006) between expression of glial protein in the brain parenchyma in HC and in comparison group. Progression of edema of the brain matter in HC is conditioned by structural peculiarities of vessels of the periventricular area characterized by the presence of endothelio-cytes on the basement membrane of cells resembling pericytes (Fig. D). Absence of smooth muscle fibers in the vessel walls confirmed by zero values of EI of desmin in different periods of gestation, permits to refer them to capillary-like vessels. Deficit of connective tissue component in basement membranes of vessels confirmed by reduced (p=0.006) local expression of vimentin, to a certain extent contributes to increase in their permeability. This is confirmed by a moderate negative correlation relationship (Rs=-0,6) between expression of vimentin in vessels and expression of S-100 glial protein in glioblasts of the periventricular area. Alterations in the neocortex in hydrocephalus coupled with abnormalities of development of CA are interpreted by some authors as «cell chaos», or inversion of cytoarchitectonic layers , or as a disorder in separation of the cortex into layers . Research completed by us permitted to identify dischronation of development of the neocortex of retardant type manifested by a disorder in separation of molecular, or plexiform, layer (I) into cellular sublayer and sublayer with scarce cells, and by absence of differentiation of II-VI layers which looked like a single monomorphic block until the end of gestation period (Fig. E). At the ultrastructural level immaturity of the cortex was confirmed by hypoplasia of organelles in the cytoplasm of neurons: mitochondria, elements of granular endoplasmic reticulum, fibrils (Fig. F). Besides, in all live-born and still-born children with HC resulting from anomalies in development of CA, disorders in gyrifi-cation of the cerebral cortices were identified: micropolygyria – 55.6% (n=9) and breakage in the sequence of formation of the cortex relief in the form of untimely appearance and asymmetry of the first order sulci 44.4% (n=4). The identified disorders in differentiation and gyrification of the neocortex are probably to a large extent determined by a negative expression of reelin (EI of reelin=0) in Cajal-Retsius neurons, since its functional activity determines the final arrangement of germinal matrix cells in the periods of fetal and early postnatal development . Hydrocephalus in newborns of 22-40 weeks of gestation coupled with congenital anomalies of the cerebral aqueduct, is characterized by a number of morphological signs which may be used for differential diagnosis with hydrocephalus of other etiology: micro-polygyria, untimely appearance of asymmetric cortical sulci, atrophy of neocortex, persistence of ventricular germinal zone up to the end of gestation period (40 weeks), absence of morphological signs of reduction of the germinal matrix, absence of differentiation of II-VI cytoarchitectonic layers and of vertical orientation of neurons and neuronal modules, enhanced expres sion of S-100 glial protein in glioblasts of the white matter of the brain, reduced expression of vimentin in vessels of the periventricular area, negative expression of matrix metalloproteinase-9 in glioblasts, of reelin in Cajal-Retsius neurons and of desmin in periventricular vessels. Rados M, Orescovic D, Rados M, et al. Long lasting near-obstruction stenosis of mesencephalic aqueduct without development of hydrocephalus – case report. Croatian Medical Journal. 2014; 55(4):394-8. doi: 10.3325/cmj.2014.55.394. Barashnev YuI, Bakharev VA. Embriofetopatii. Diagnostika i profilaktika anomalii tsentral'noi nervnoi sistemy i skeleta. Moscow: Triada-Х; 2010. (In Russ). Vasileva M, Procenko E, Peretyatko L. Мethod of visualization a brain ventricles of foetuses 22-40 weeks of gestation. Morfologicheskie vedomosti. 2009;1(1-2):103-5. (In Russ). Sarkisov DS, Perov YuM, editors. Mikroskopi-cheskaya tekhnika. Rukovodstvo dlya vrachei i laborantov. Moscow: Meditsina; 1996. (In Russ). Rebrova OYu. Statisticheskii analiz meditsinskikh dannykh. Moscow: Media Sfera; 2003. (In Russ). Protsenko E, Vasil'eva M, Peretiatko L, et al. Structural changes in the germinal matrix of the brain of fetuses and neonatal infants with ventriculomegaly and congenital hydrocephalus. Arkhiv patologii. 2014;76(3):9-12. (In Russ). Lockwood Ch, Oner C, Uz Y, et al. Matrix metalloproteinase 9 (MMP9) expres-sion in preeclamptic decidua and MMP9 induction by tumor necrosis factor al-pha and interleukin 1 beta in human first trimester decidual cells 1. Biology of Reproduction. 2008; 78(6):1064-72. doi: 10.1095/biolreprod.107.063743. Protsenko E, Peretyatko L, Vasilyeva M. Features of expression of mmp-9 in brain structures fetal and neonatal 22-40 weeks of gestation at ventriculo-megaly and hydrocephalus. Detskaya meditsina Severo-Zapada. 2012;3(2):32-4. (In Russ). Lazyuk GI, editor. Teratologiya cheloveka. Ruko-vodstvo dlya vrachei. 2nd ed. Moscow: Meditsina; 1991. (In Russ). Vlasyuk VV. Patologiya golovnogo mozga u novorozhdennykh i detei rannego vozrasta. Moscow: Logosfera; 2014. (In Russ). Schiffmann S, Bernier В, Goffinet А. Reelin mRNA expression during mouse brain development. European Journal of Neuroscience. 1997;5(9):1055-71. doi: 10.1111/j.1460-9568.1997.tb01456.x. Copyright (c) 2018 Procenko E.V., Peretiatko L.P., Fateeva N.V., Saryeva O.P.